Last week I shared a fun collaboration I did with the other Plaid Creators for an entire Room Makeover and we all contributed to a big Gallery Wall! 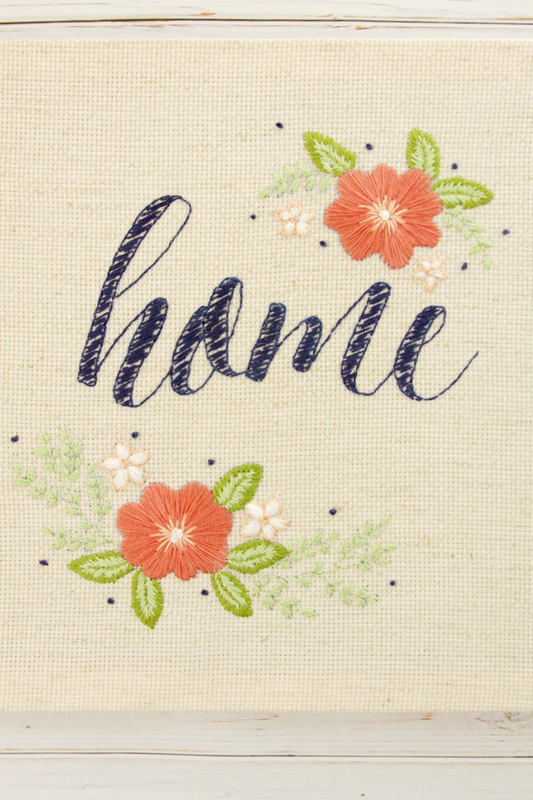 We each contributed an item for the Gallery Wall and today I’m sharing my project for the wall – this Floral Home Embroidered Artwork. 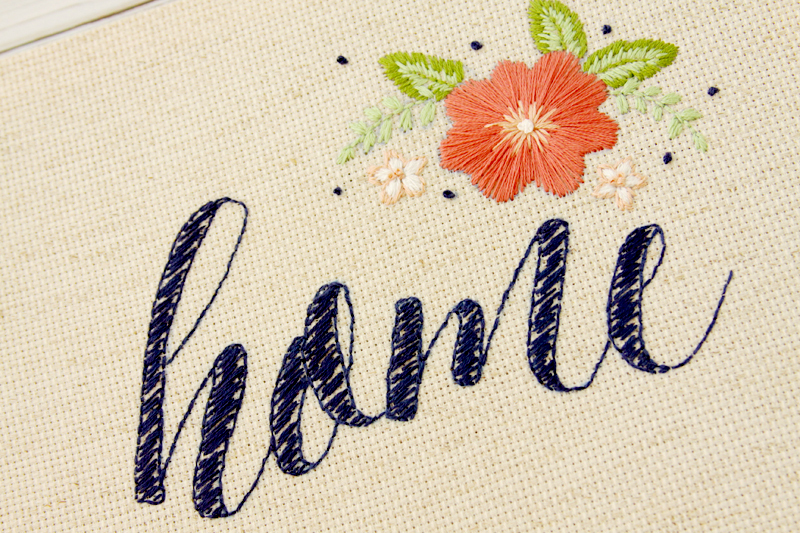 If you’re just starting out with embroidery, don’t let the satin stitches worry you! They are super easy to do, just lots of straight stitches to fill in a design. Easy peasy, I promise! The Bucilla stitchable blank is awesome. 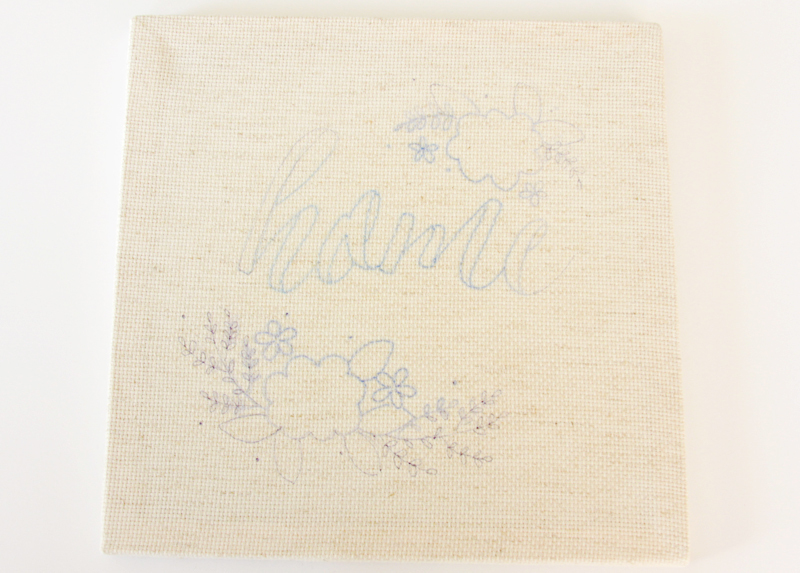 It’s printed on a linen looking aida, but the weave is tight enough to use it for embroidery too! It comes stretched around a wooden frame. 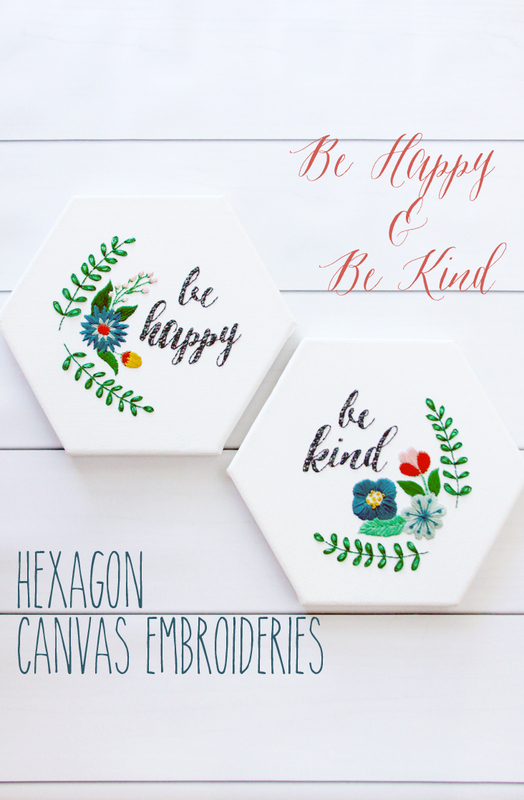 Super easy for stitching! The frame made transferring the design a little tricky. I didn’t want to transfer with the fabric face up and risk stretching it out. So I got a little creative! I traced the design on the reverse side of the pattern and placed it face up on my ironing board. I put the stitchable blank face down on the pattern and ironed on the back side of the blank. You’ll want to make sure it’s good and covered because if you move it, you won’t be able to get it back in the same spot. I actually had to fill in a bit on the front with the marker for a couple spots. 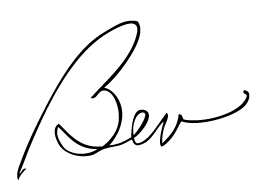 Outline the letters with a back stitch. 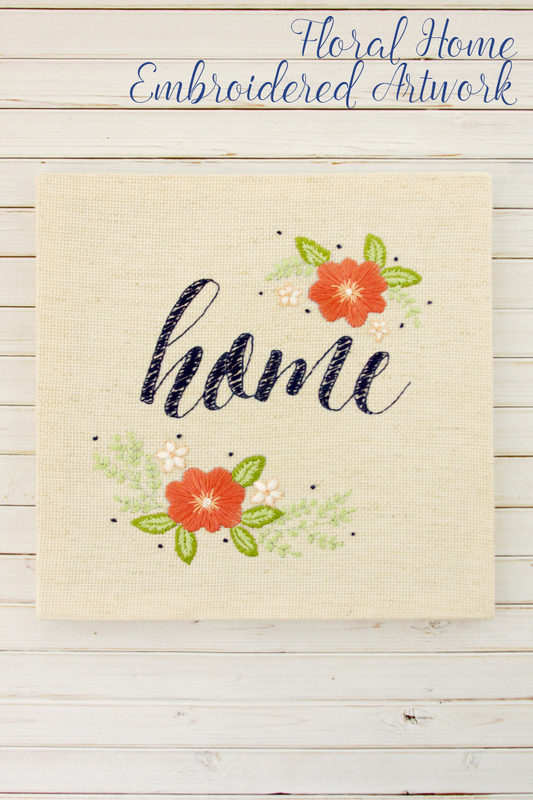 Fill in the letters with a loose satin stitch. Outline the branches with a back stitch. Stitch the small leaves with lazy daisies. For the large leaves. stitch satin stitches with the dark green around the edges of every leaf. Stitch the stems with a back stitch and fill in the center of the leaves with the light color green satin stitch. For the small daisies, stitch the petals with the white color in a satin stitch. Outline the petals with the light peach in a back stitch. 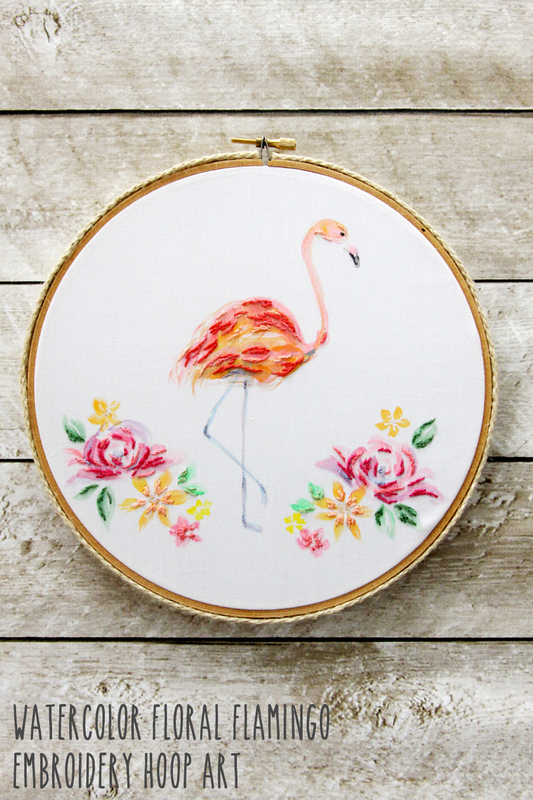 Stitch a French Knot with the light peach in the center of the flower. 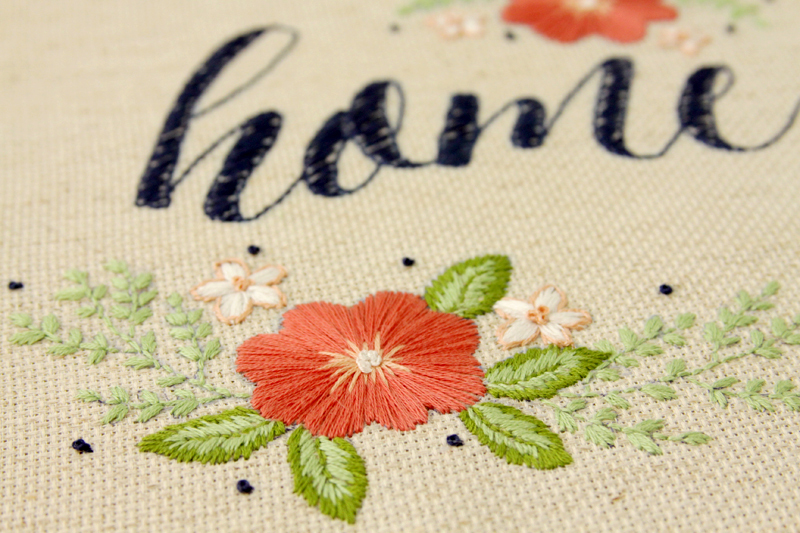 For the large flowers, stitch the flower with a satin stitch in the dark coral. With the light peach, stitch a few spokes from center out. Stitch three French Knots in the center with the white floss. 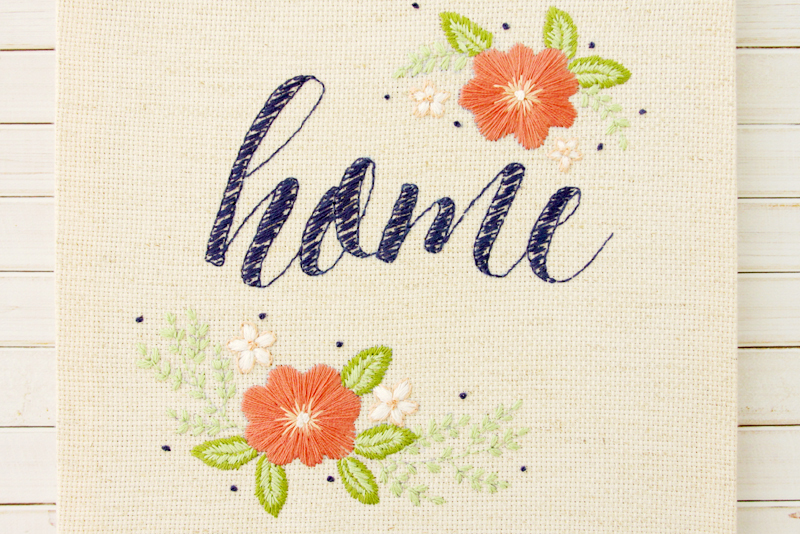 Stitch the dots with French Knots in navy floss. That’s it! 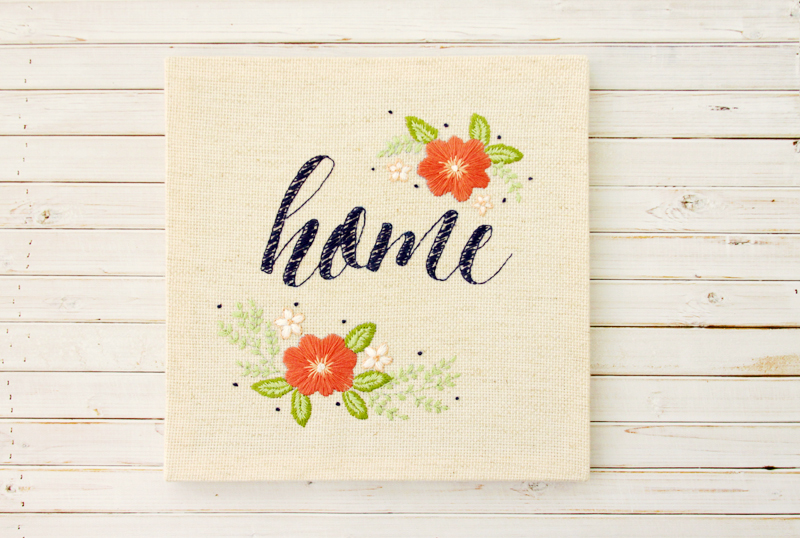 Now you have a cute addition to your decor! It would make a great gift for a friend too! You can check out some of the other projects for the gallery wall too! Gorgeous Bev, thanks for sharing on Craft Schooling Sunday!